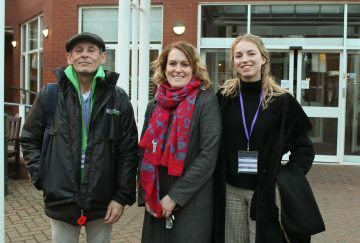 On Friday 23rd, in the afternoon, all of Year 8 heard from Danny and Alice, two representatives from ‘Invisible Cities’ about their Manchester tours and what life was like for Danny when he was homeless for over four years. 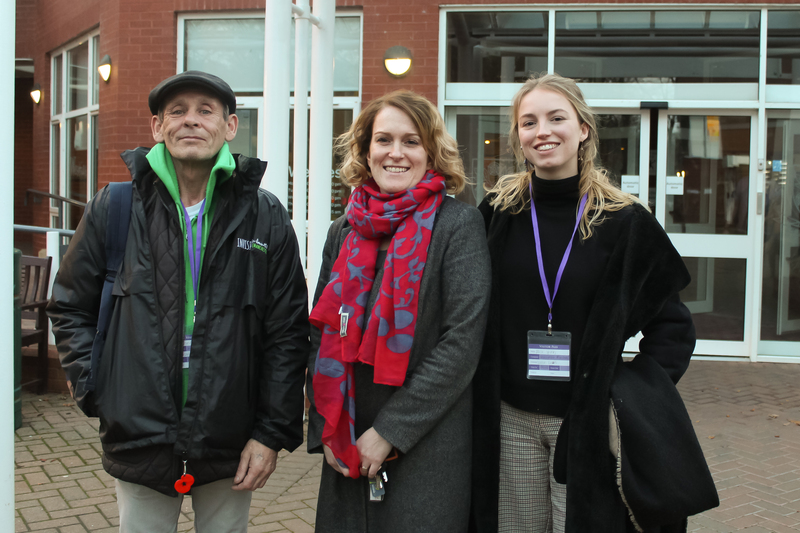 Keen to dispel stereotypes, Danny explained how he had served in the Armed Forces and had a successful business but had struggled with depression which eventually led him to leave his home and family. 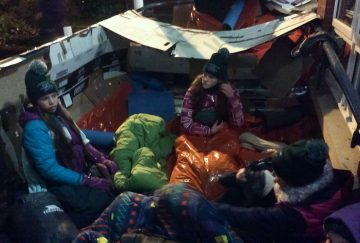 Honest and inspiring, Danny gave the students lots of opportunity to ask questions and gave tips about the sleep out that many would face the next day. 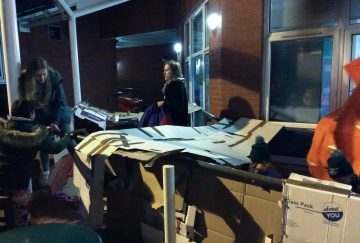 He also read extracts from some moving poetry inspired by his time sleeping rough. Then the day of the challenge itself arrived. 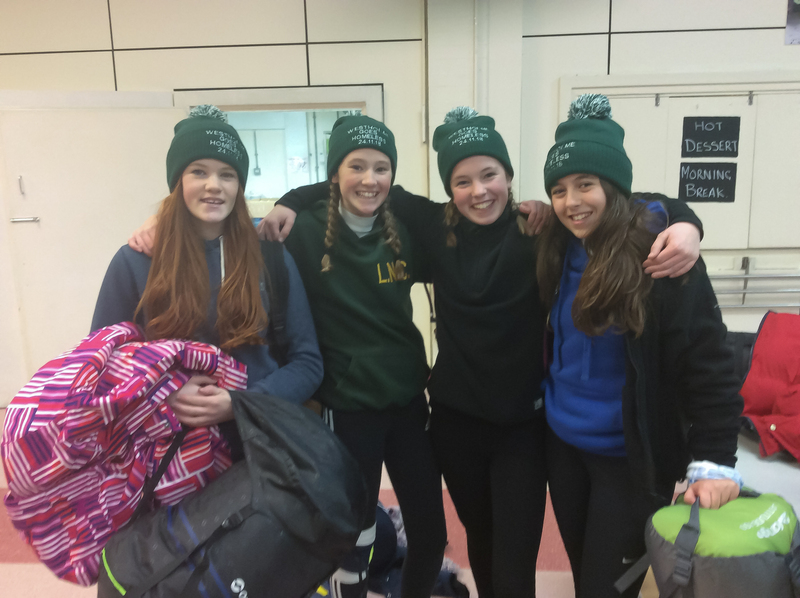 None of us could ignore the drop in temperature that the week had brought but nonetheless students arrived, armed with sleeping bags, layers and determination to take on their challenge. 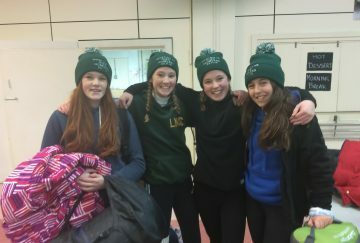 Once students had been briefed about the organisation of the evening, the Sixth Form charity team and Mrs Waldron began their programme of activities to keep students warm and occupied in the absence of phones and other forms of entertainment. 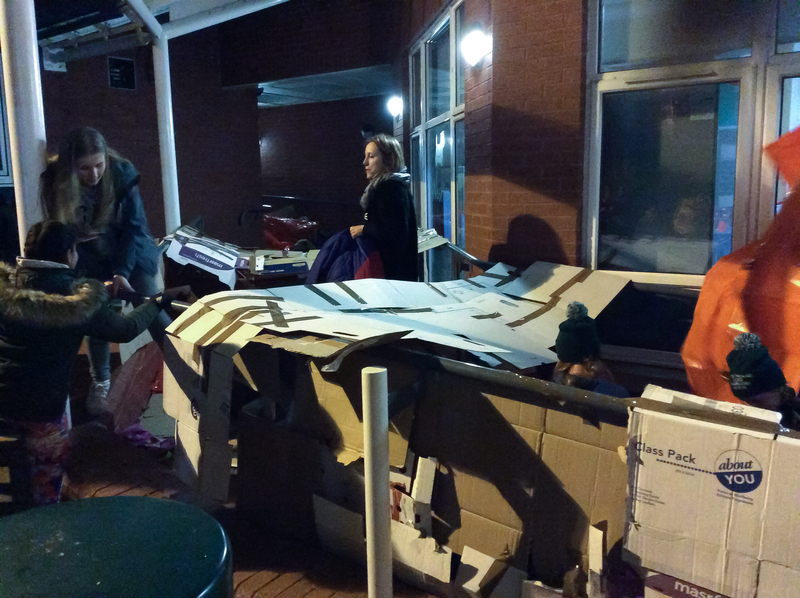 The first job was for teams to pick their pitches and build shelters for the evening out of the cardboard collected on site. 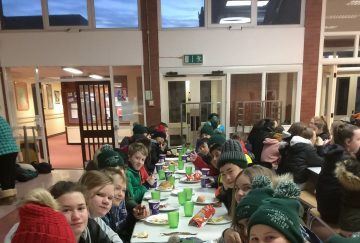 Miss Thompson then led the campfire singing as students were treated to hot chocolate and marshmallows (minus the fire!). Teams were then given half an hour to put together an act for a talent show. The performances were very varied and showed good humour and kept spirits and energy levels high. 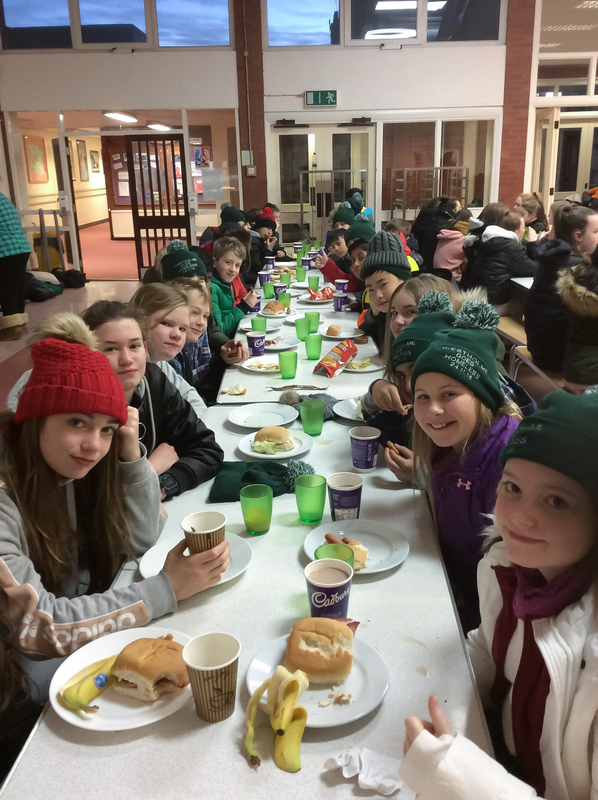 It was then quiz time as teams battled it out to get further supplies of chocolate and food. 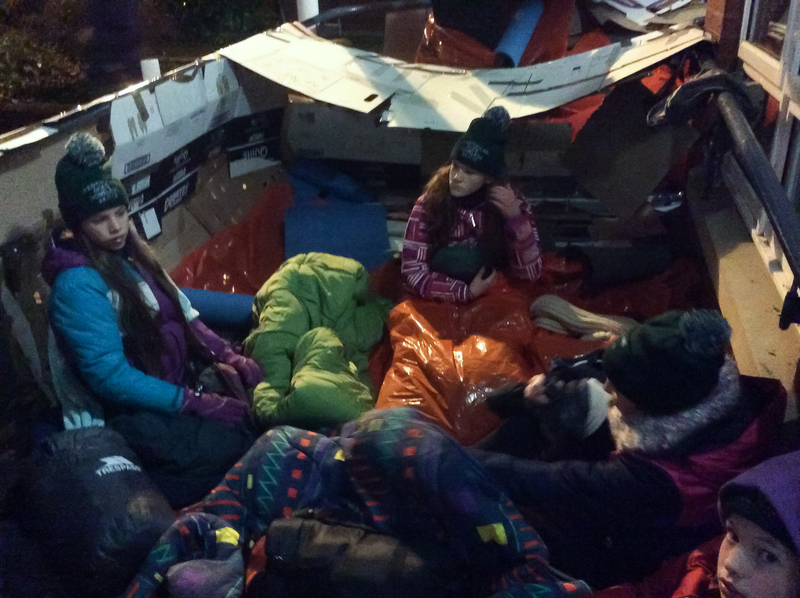 After this, it was time for a quick bout of aerobics to warm students up before getting into their survival and sleeping bags to try and comfortable for the evening. Lights went off at midnight and the real challenge began. 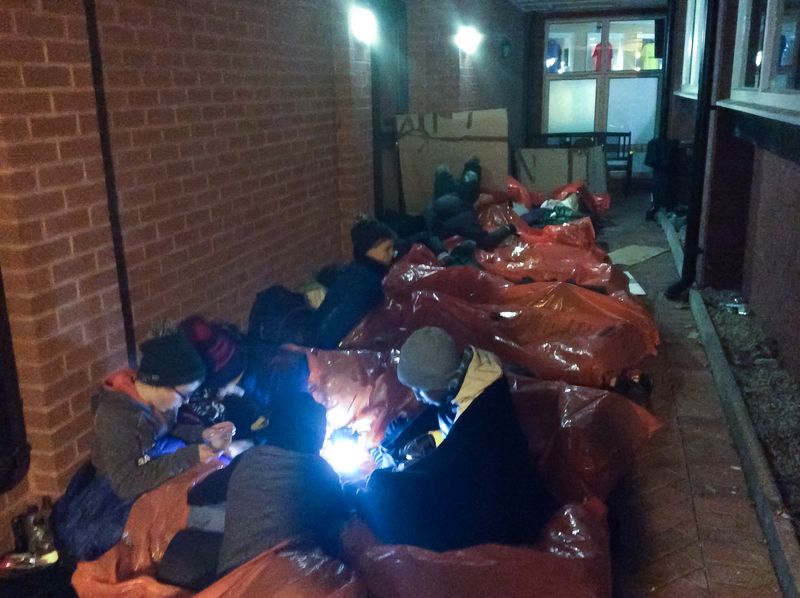 Almost all students stayed outside for the duration of the evening in very cold and, at times, damp conditions and sleep was difficult. 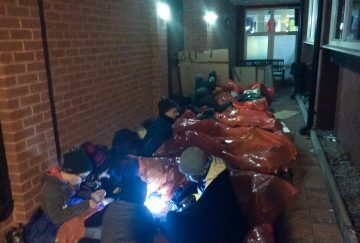 As they emerged from their shelters in the morning, everyone was delighted to see hot chocolates and a warm breakfast of bacon and sausage sandwiches and I’m sure they will have appreciated the warmth and comfort of their own beds on Sunday evening.